Color your way through the exciting new world of the Cyber Phasors. Choose your side: the Heroic Astrofenders or the Diabolical Conquestrons. 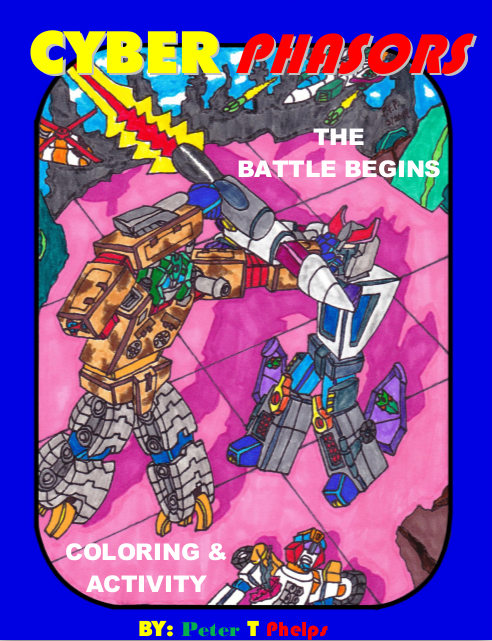 Phase into action with this robotic morphing coloring activity book filled with puzzles and pictures your kids will enjoy.